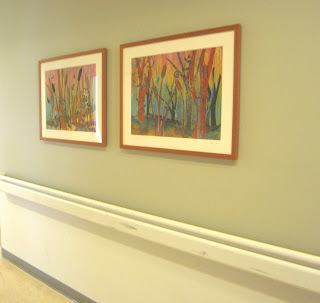 L'Attitude Gallery Art Consultants provided artwork for two Cardiology units in November. Below: "Abstract Quadtych" by Meg Black. Paintings created with paper pulp. 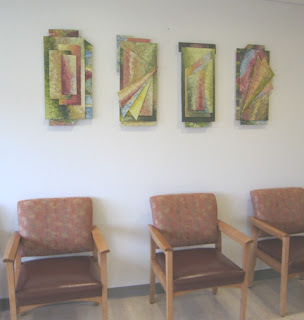 These are hung in a waiting area. Below: "Wetlands I and II" by Julia Berkley. These two fabric collage pieces are in the entry area.